His Highness Sheikh Mohamed Bin Rashid Al Maktoum – Vice President and Prime Minister of the United Arab Emirates (UAE) and the Ruler of Dubai. Other contributing factors for the growth are rise in demand from China, India and GCC countries as well as Generation Y travelers and young families on a budget. As the Dubai hotel market becomes ever more competitive, a new wave of affordable properties, such as the Dubai-based three and four star Al Khoory Hotels, is giving targeted groups of visitors the facilities they want, coupled with exceptional value. Al Barsha and Al Khoory Executive Hotel in Al Wasl, which are predominantly aimed at both leisure and business travelers; Al Khoory Hotels will be launching their latest mid-market proposition at this month’s Arabian Travel Market (ATM) which runs from 25-28 April, starting with the 227-room Al Khoory Atrium Hotel Al Barsha which is set to open in July 2016. With free Wi-Fi and a media hub in every room, the hotel’s offering is complemented by its convenient location midway between Dubai International Airport and Al Maktoum International with Dubai International Convention and Exhibition Centre just 10 minutes away. The hotel is in short distance from the upcoming Expo 2020 site, Jebel Ali port and the free zone areas. The property also offers meeting rooms with banquet and conference facilities for up to 70 people. All hotels within the group are dry, serve Halal food and have a no smoking policy, making it a family friendly hotel. The property is also within walking distance from Sharaf DG Metro Station and top attractions including Mall of the Emirates and Ski Dubai, while Wild Wadi waterpark and Dubai Marina are also close by, making it ideal for leisure guests, and short and long-stay business travelers alike. a 40-inch flat screen satellite television, complimentary Wi-Fi, media hub, air conditioning, tea and coffee making facilities, mini fridge and an electronic safe. 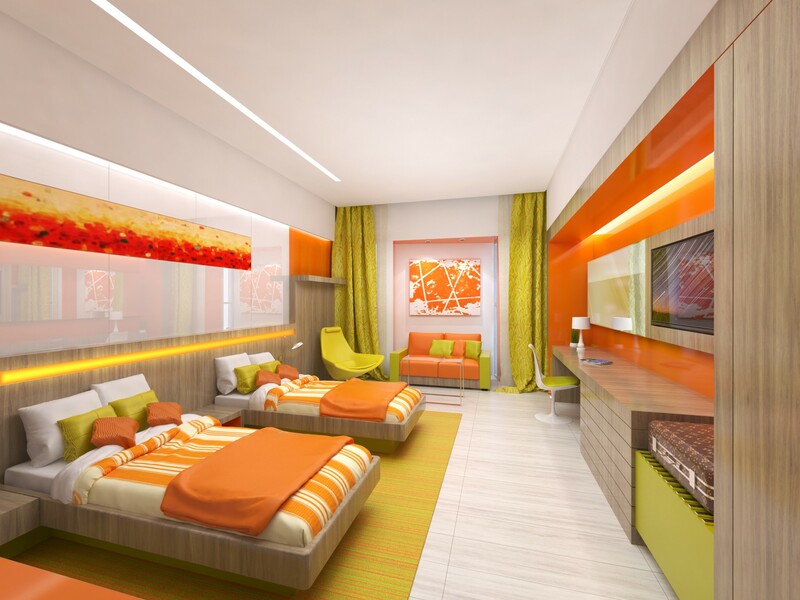 Another feature is the unique lighting system which will allow guests to set the lighting of the room and create a relaxed atmosphere as per their mood, which adds to the overall experience. Junior suites additionally include a separate living room. The executive suite, in addition to the bedroom and living room, is equipped with a walk-in closet, 60” flat screen television and Jacuzzi. Both suite categories are also equipped with an espresso machine. When it comes to leisure time, as well as boasting a rooftop infinity swimming pool, the hotel has separate facilities for male and female like Jacuzzi, Moroccan bath, Relaxation area, State-of-the-art gym – @Calories, sauna and steam rooms, as well as Massage and treatment rooms. The hotel’s atrium is another prime design focus, as it acts as a source of natural lighting system which creates different moods from dawn to dusk, ensuring that guests have a unique experience while at the hotel. “Al Khoory Atrium Hotel Al Barsha is ideally located in the hub of ‘new Dubai’ and is suited for both business and leisure travelers. Our full value proposition is further complemented by the increasing number of tourists coming to Dubai, and the Dubai Metro which is going to be extended all the way to Dubai World Central,” added Sokhon. Al Khoory Inn Bur Dubai by 2017, the 370-room Al Khoory Plaza Hotel Diera as well as the 99-room Al Khoory Central Hotel and 159-room Al Khoory Courtyard Hotel – both set to open in Al Quoz in 2019. The company is also poised to implement regional expansion plans in Oman including one property in Muscat and two in Sohar. Visit Al Khoory Hotels at ATM 2016 from 25-28 April at Dubai International Convention & Exhibition Centre on the DTCM Stand, ME3110.